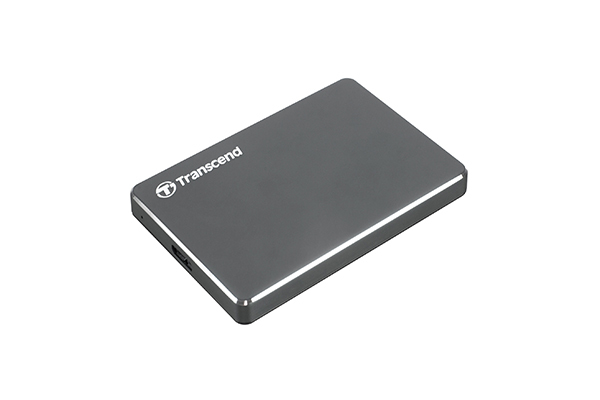 2TB High Capacities, Utilizing the USB 3.0 interface, Important Files, Photos, Videos and Music, Delivering at Speeds of up to 5Gbps. 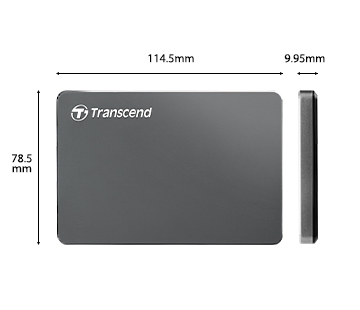 TS2TSJ25C3N 2TB High Capacities, Utilizing the USB 3.0 interface, Important Files, Photos, Videos and Music, Delivering at Speeds of up to 5Gbps. 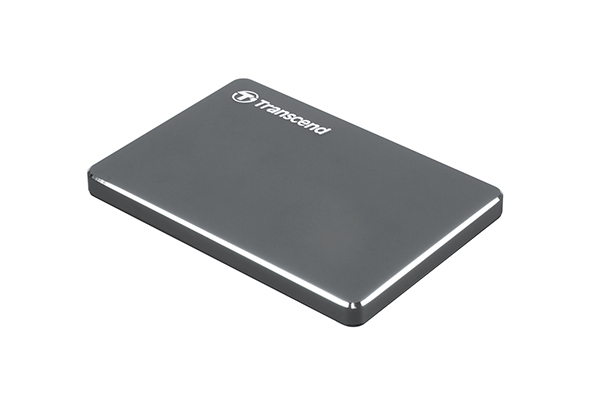 The StoreJet 25C3 comes with a free download of the exclusive Transcend Elite software. 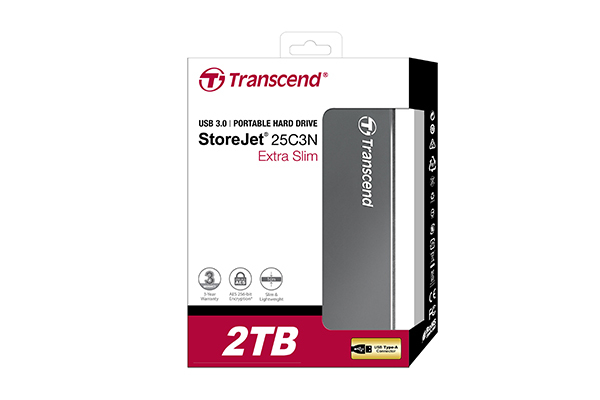 Useful features include: backup and restore, encryption and decryption, synchronization, and cloud backup.The StoreJet 25C3 comes in high capacities of up to 2TB, so you can store and back up all of your files. The sleek aluminum casing being polished, sandblasted, and anodized, reflects your good taste and complements your other tech devices. The CNC-finished edges and the Transcend logo embossed on the case speak volumes about your commitment to style and quality. The Utilizing the USB 3.0 interface, the StoreJet 25C3 is lightning fast for transferring important files, photos, videos and music, delivering at speeds of up to 5Gbps. 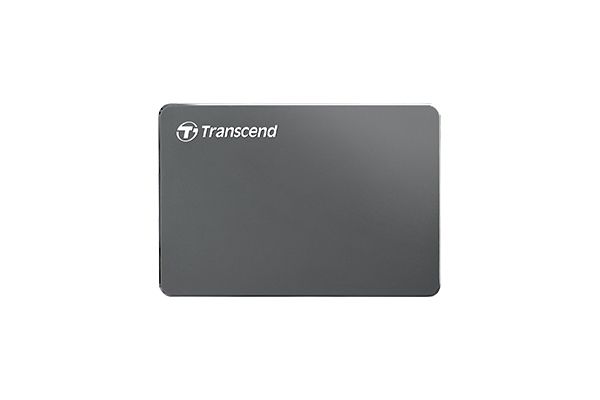 To Recieve updates and possible rewards for Transcend StoreJet 25C3 (Grey) please sign in. To Recieve updates and possible rewards for External Hard Drive please sign in.